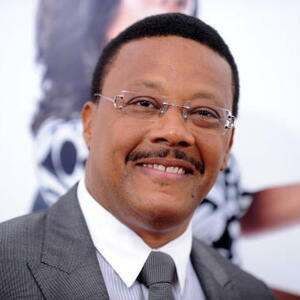 How much is Judge Greg Mathis Worth? Judge Greg Mathis Net Worth and salary: Judge Greg Mathis is an American retired Superior Court Judge who has a net worth of $20 million dollars. Judge Greg Mathis is a former Superior Court Judge of Michigan's 36th District Court who presides over the American arbitration-based reality show 'Judge Mathis'. Known for his advocacy for equal justice, his own inspirational life story is of a street youth who rose from 'jail' to 'judge' provides hope to millions who watch him on his award-winning television court show. In addition, his weekly newspaper column brings social and political insight to the entire country. His public service career began in college where he led Free South Africa and voter registration campaigns on campus. After graduating from college in 1983, he joined the staff of Detroit City councilman Clyde Cleveland and continued to work as an advocate for equal justice with Reverend Jesse Jackson's PUSH Excel, where he currently serves as Chairman. He is also a national board member of the NAACP and the Morehouse School of Medicine. Judge Mathis opened a community center in his hometown of Detroit and has assisted thousands of youth with his non-profit agency Young Adults Asserting Themselves (Y.A.A.T. ), an agency which provides career, business start-up and job opportunities, as well as job training and college enrollment assistance. The City of Detroit honored Mathis by naming one of their streets, Mathis Avenue, after him. The street is part of a new housing development which replaced the housing projects Mathis grew up in. Judge Mathis has received numerous awards and keys to the city from government officials and is the recipient of Honorary Doctorates from both Florida A&M University and Eastern Michigan University. He has also been recognized for his many philanthropic efforts by numerous newspapers, magazines and TV networks. He has appeared on such shows as The Tonight Show with Jay Leno, The Today Show, Larry King Live, and The Ellen DeGeneres Show. He also offers legal and community assistance on his website.